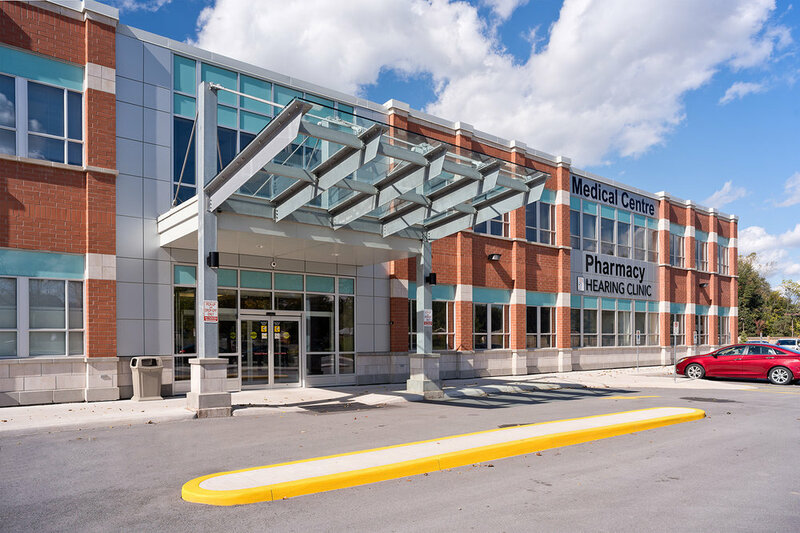 Designed for repeat client CMD Healthcare Management, this $5.3 million project constitutes a new 33,600ft2 two-storey state-of-the-art multi-tenant facility for medical and related uses. This is comprised of general practitioner and specialist offices, and space for additional operations that are secondary and incidental to health practices including laboratory and imaging services, dispensing of medical devices, as well as a pharmacy. 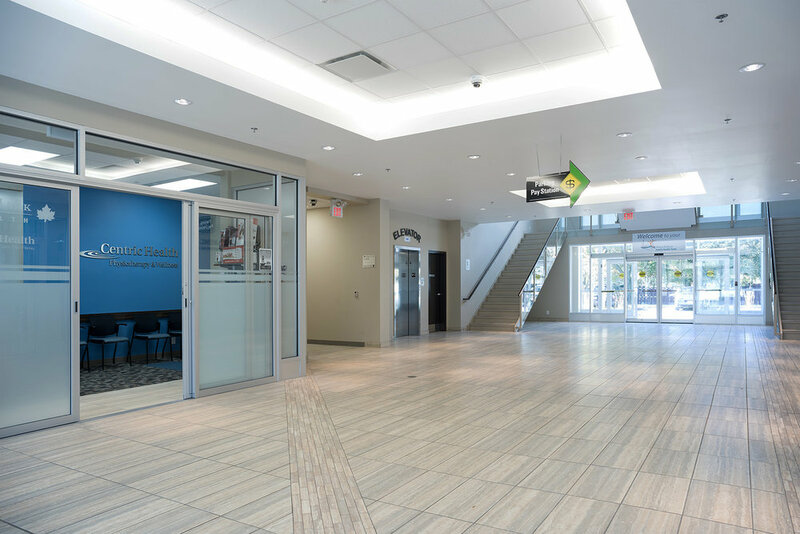 Building features include an exposed structural steel and glass entrance canopy that speaks to Welland’s industrial heritage and an open and airy main lobby which hosts a feature staircase leading to the Welland-McMaster Family Health Team suite. The Welland-McMaster Family Health Team suite layout was planned in collaboration with Professional Design Solutions and was designed to meet the very specific needs of the user group which consists of general practitioners, student interns, and allied professionals including mental health workers, social workers, counselors, therapists, and other such specialists.